I need a little Tucker to cheer me up. 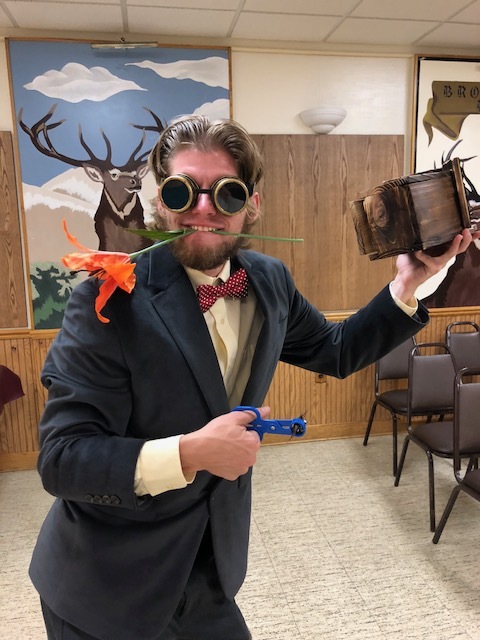 This is my friend Tucker in our recent murder mystery, Donate to Murder. He was very funny. I hit “New Post” wanting to make this a Monday Moan post, but it’s just a mood and there is no reason to inflict it on my readers (although I know I do sometimes). So I thought a Monstrous Monday was in order. When I went to my Media Library (you say “Media Library” in a pretentious tone of voice), this little gem caught my eye. I do feel a little cheerier. I wonder what other monsters I can find to pep up my post. I thought I’d throw in a little garlic first, in case I include any vampires. 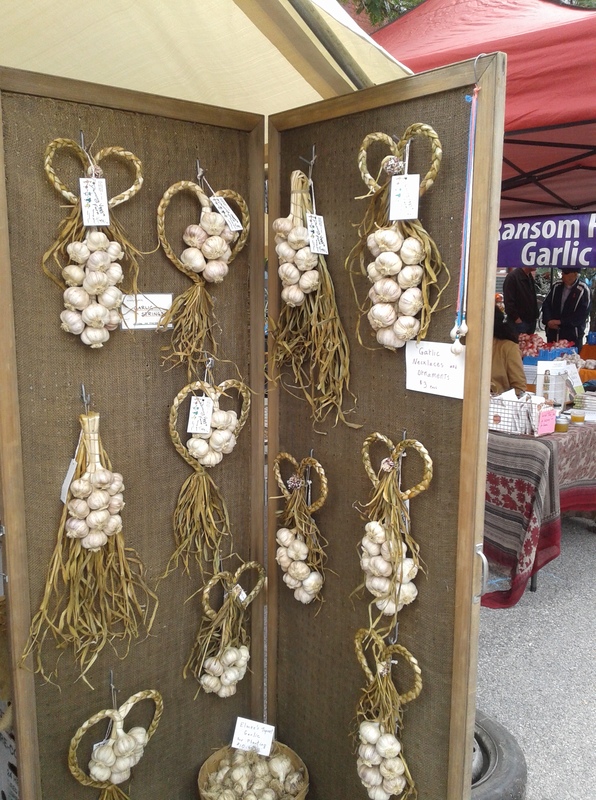 This is from the Mohawk Valley Garlic and Herb Festival in Little Falls, NY, last September. Good times, good garlic. 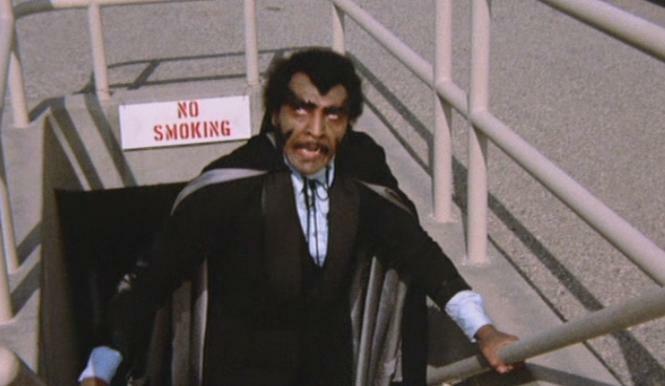 It is ironic that the sign says “NO SMOKING” when Blackula is smoking hot. I may have made that observation before, but even the best of us repeat themselves sometimes. Christopher Lee is the favorite Dracula of many. I do love a Hammer horror film. Oh, he is a fine, scary dude! 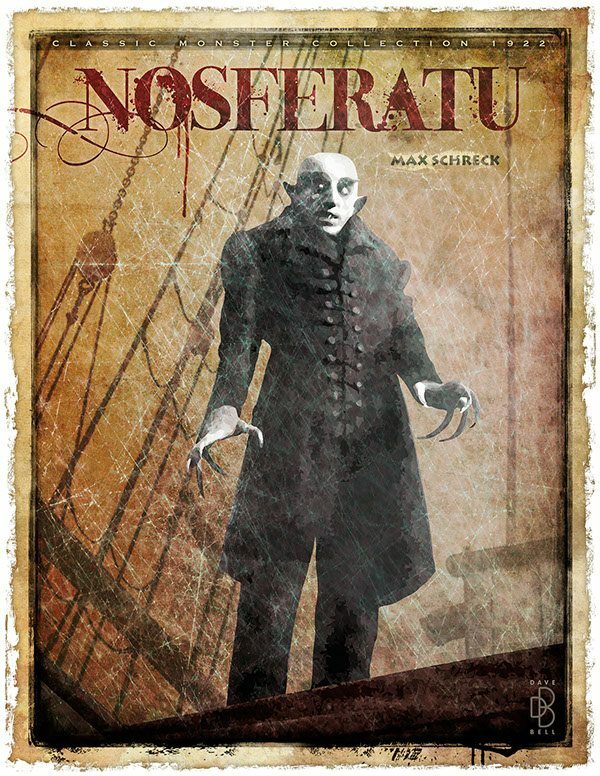 You knew I was going to include Nosferatu, didn’t you? I hope nobody minds a vampire-heavy Monstrous Monday. After I put in the garlic, I felt kind of obligated. This has been, I admit, another foolish post. In my defense, I am working hard on the next mystery, A Trivial Murder. More information on that will be forthcoming! Happy Monday, everyone. Posted in humor, Monstrous Monday, personal and tagged A Trivial Murder, bad mood, Blackula, blog post, blogging, Christopher Lee, Donate to Murder, garlic, Hammer horror films, murder mystery, Nosferatu, Taste the Blood of Dracula. Bookmark the permalink. I’m sure nobody expected me to get my act together overnight. If you did, well, you realize you were setting yourself up for disappointment, do you not? No matter. We all have foolish expectations from time to time. All this by way of introduction to another Monstrous Monday. My only decision now is whether to use repeat monsters or search for new pictures to share. I think I’ll look for old and try to think of new things to say about them. Here’s a double bill I never thought of. I do not remember why I downloaded this shot or when I used it. Trog, for the uninitiated, is Joan Crawford’s last movie. It is not my favorite cheesy horror movie featuring Crawford. And before anybody hazards a guess, neither is Whatever Happened to Baby Jane. 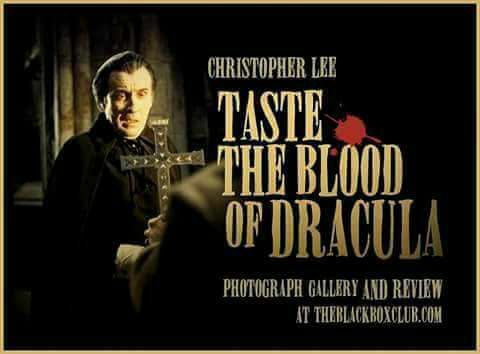 I don’t think I have ever seen Taste the Blood of Dracula, although I have seen a few Hammer Dracula movies starring Christopher Lee. I understand he kept saying each one was his last, but the studio would talk him into the next, often by pointing out how many people would get work thereby. If that is true, it gives me quite a good opinion of Lee, even outside of his acting prowess. 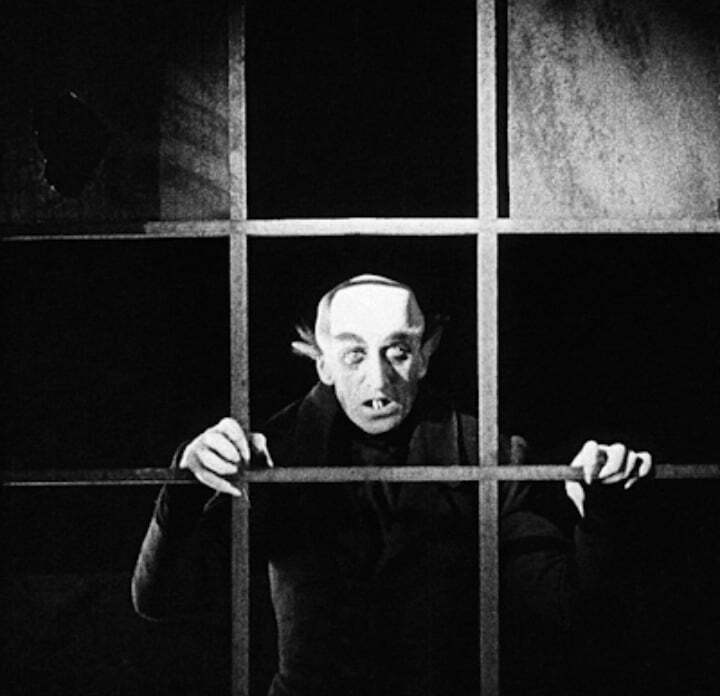 What’s a Monstrous Monday without my favorite guy, Nosferatu? 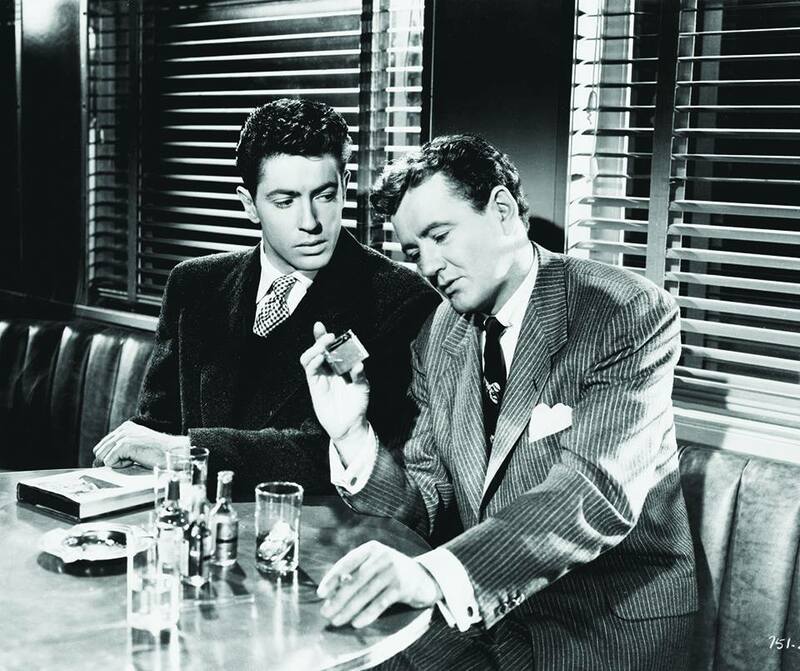 I end with a monster of the human variety, Robert Walker as Bruno in Strangers on a Train, on the right. The other guy, looking a little apprehensive (and no idea yet how right he is to be so!) is Farley Granger as Guy Haines. Good movie. I’ll have to give it another watch soon. But not on a double bill with Trog. Posted in humor, Monstrous Monday, personal and tagged blog post, blogging, Christopher Lee, Farley Granger, Hammer horror films, Joan Crawford, monster movies, monster pictures, monsters, Nosferatu, Strangers on a Train, Taste the Blood of Dracula, Trog. Bookmark the permalink. 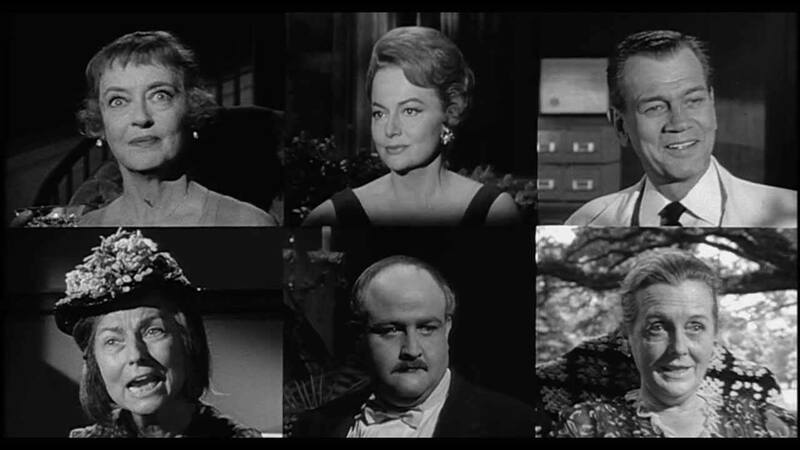 A distinguished cast of characters? Or a rogues gallery? What’s bothering me is where is Cecil Kellaway? I found this picture among my downloads recently and thought it might be a nice way to begin a Non-Sequitur Thursday post. Full disclosure: I have another one of my headaches in addition to feeling quite lazy and whiny today. I suppose you never feel lazy and whiny (you know who you are). Well, I will bestir myself to type a few words including as few petty complaints as possible. I am feeling a little movie melancholy these days, because our DVD/VCR abruptly quit on us during the snow storm of March 2. It happened right after we briefly lost power. It seems a little odd, though, because we have a power strip, which I thought was also a surge protector. The television and cable box emerged unscathed. Phew! The nice this that when we finally get a new player, we will not have seen all our favorite movies for a while. One of my other favorites. We don’t watch as many movies these days anyways. As regular readers know, I am addicted to true crime television. And when I really want a movie, I have a few on my DVR, including, if I am not mistaken, a couple of Hammer Horror flicks I recorded last October and haven’t watched yet. Who could be uncheered by a vampire? Or I could just read a book. You were expecting War and Peace? I see I am closing in on almost 300 words. 300 silly words, but aren’t they usually? 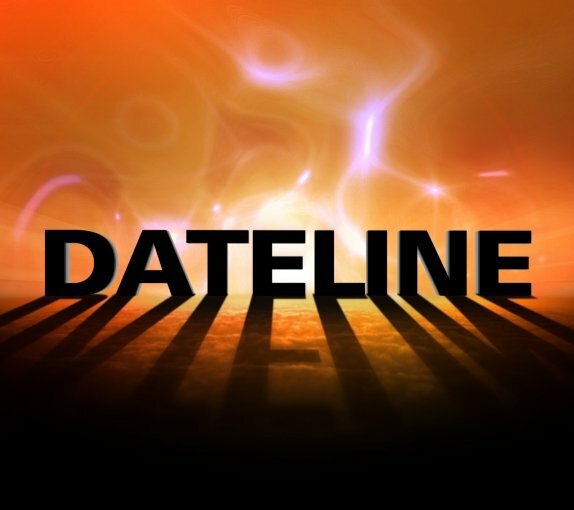 I’m going to watch a true crime show till bedtime. Maybe a monster movie tomorrow. Or perhaps I will have a Mohawk Valley adventure I can write a real blog post about. As always, I hope you’ll stay tuned. Posted in humor, Non Sequitur Thursday, personal and tagged blog post, blogging, cable television, Christopher Lee, entertainment, Hammer horror films, headache, movies, television, true crime television, vampires. Bookmark the permalink. Alas, I did not participate in Shop Small Saturday, so I cannot do a post plugging local businesses. I went running this morning, so I could have done Saturday Running Commentary. And I am going to cook something for dinner, so I could yet do a cooking post. But here I sit, wanting to get my post done and over with, and I’m just watching, in the most desultory fashion imaginable, a Hammer Horror film I DVR’d in October. He looks so horrified by the cross. Do you suppose he went to Catholic school? 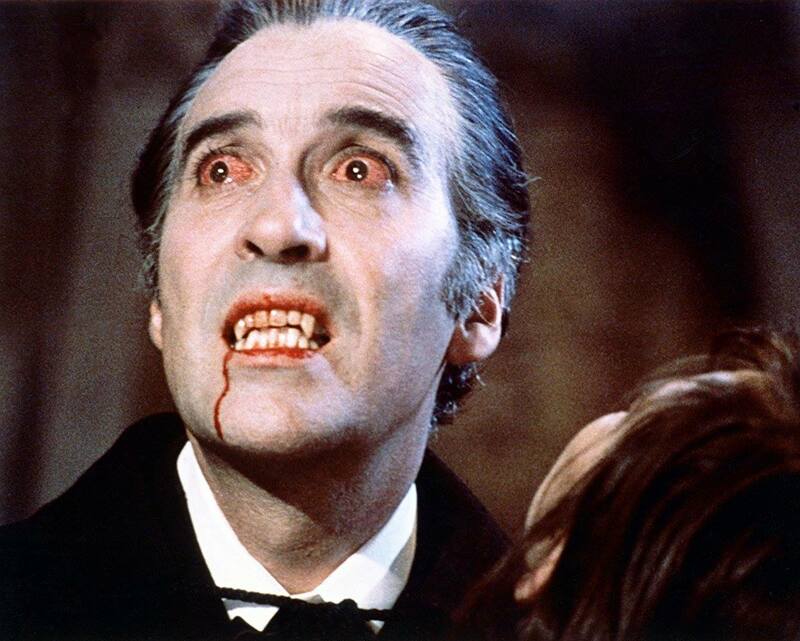 Who doesn’t love a Hammer Horror film with Christopher Lee as Count Dracula? Well, Lee himself, as I learned in Ben Mankiewicz’s pre-movie commentary. As it happens, I am not paying a great deal of attention to it myself, even less so than usual, which regular readers know is very little indeed. I’m just not in the mood. So obviously I cannot do a real write-up as I enjoy doing, necessitating a spoiler alert. I did a quick search of Facebook for public pictures, though, to punch up what I do post. He looks as if he is rather relishing the role in this shot. 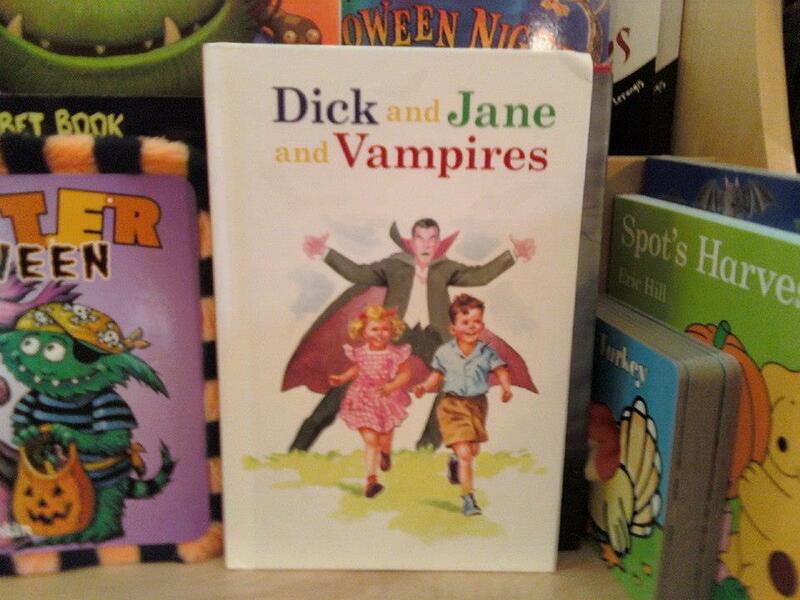 Dracula must look after his health, after all. 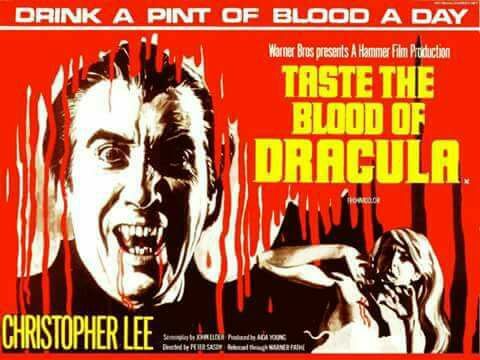 I would not have thought of putting Trog with Taste the Blood of Dracula. Steven and I watched Trog some years ago, back in the days of video stores. It was Joan Crawford’s final picture, so we watched it to show respect. There isn’t really much other reason to watch it, if I recall correctly. Still, if it shows up on TCM I will DVR it. Maybe I’ll let it play while I type a blog post. 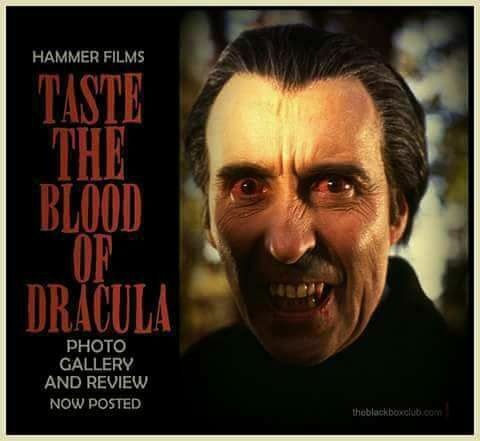 Posted in humor, personal, Slacker Saturday and tagged blog post, cheesy horror movies, Christopher Lee, Dracula, Hammer Films, horror movies, Joan Crawford, movies, Taste the Blood of Dracula, Trog. Bookmark the permalink. It’s that dreadful moment when you want to make your blog post and you realize you have not a thing to write about. I’m not even sure I can do a Monday Mental Meanderings, because my mental capacity is running low. I have not done much today. I went to Basloe Library and printed out the registration form for the Reindeer Run 5K. I guess I’m going to run it. I think I’m going to run it. Maybe I’m going to run it. We’ll see. Count Dracula don’t need no stinkin’ napkins! As I type this (as Truman Capote once said, “That’s not writing, that’s typing”), Dracula is Risen from the Grave is playing on my DVR. I wrote a blog post about it the last time I watched it. 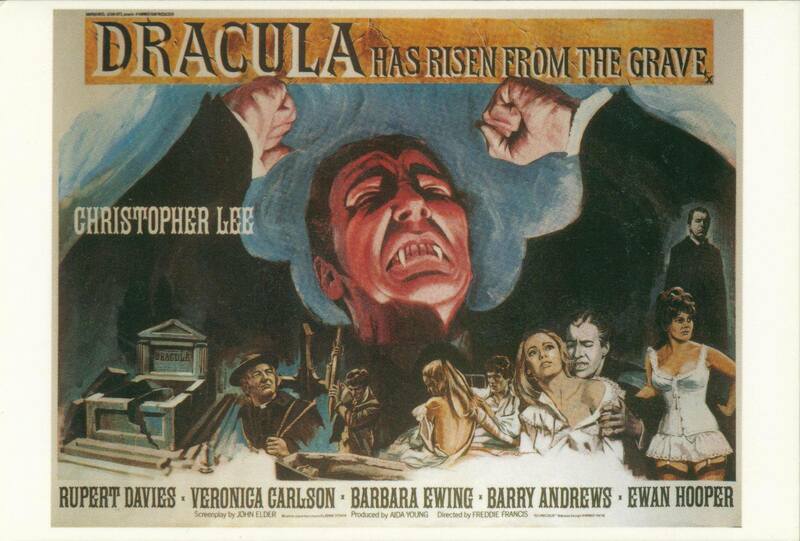 It stars Christoper Lee, who was purportedly sick of playing Dracula by the time. I stopped paying attention to it when I watched it that time, too, although I think my write-up on it was pretty fun (or do I flatter myself?). The other Christopher Lee Dracula movie I have seen and written about was Dracula, Prince of Darkness. I paid better attention to that one, but with me that isn’t saying much. This shows how frustrated Lee was to still be playing the Count. When TCM shows this movie again next October and I DVR it, I think I will try to pay attention to the whole thing. No promises. For one reason, am I likely to remember this brain dead moment a year from now? He looks like he’s worried I might write another blog post about him. Ah, I did have one more picture of Lee in my Media Library. I do like to include three pictures. Tomorrow I will try to include a more coherent blog post. Happy Monday, everyone. Posted in humor, Monday Mental Meanderings, personal and tagged blog post, Christopher Lee, horror movies, not writing, Reindeer Run 5K, vampires, writing. Bookmark the permalink. I pause in the midst of my Non-Sequitur Thursday gyrations to make a blog post. I don’t have all my stuff done. I am not going to get all my stuff done tonight. It is unknown how much stuff I will get done tomorrow. No matter. My blog post will get done. I did not end my prom night, or indeed any night so far, looking like this. He does not look particularly happy either. This is Christopher Lee in Horror of Dracula. I identified with his look, too, and not just the surprise and horror. Look how bloodshot his eyes are. I get that problem during allergy season too. Who knew Dracula suffered from rhinitis? I had been going to tell the tale of all the running around and stuff I have been doing. Now I feel more into sharing pictures of horror movies. But I don’t really have time to (a) compose a decent blog post or (b) look for more cool pictures. I have to get back into the kitchen and do the dishes. I’ve been mixing and making refreshments for a cast party tomorrow. Just to throw in another mention of The Tempest. You know, that play I’m in? That reminds me: I also have to look over my lines again. Happy Thursday, everyone. Posted in humor, Non Sequitur Thursday, personal and tagged blog post, Carrie, cast party, Christopher Lee, gyrations, horror movies, horror of dracula, running around, Sissy Spacek, The Tempest. Bookmark the permalink.